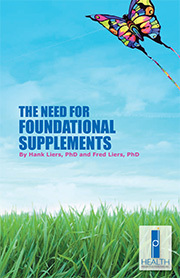 For more than twenty years, Dr. Hank Liers has formulated and managed the production of over 200 nutritional supplements, including a few of the most recognized brands in the industry, as well as Health Products Distributors extensive line of high-purity, world-class nutritional formulas. Concurrent with his duties as HPDI’s chief executive, Dr. Liers formulates advanced, cutting-edge products, and engages in research on scientific and clinical studies appearing in the professional literature. Dr. Liers’s scientific training includes postdoctoral research in Physics, University of Wisconsin (1969–71); a PhD in Physics (Nuclear), University of Minnesota (1969); a BS in Physics, Stony Brook University (SUNY) (1962). From 1969 to 1994, Dr. Liers managed and contribute d to a large variety of technical projects in the areas of manufacturing technology, solar energy, defense technologies, and nuclear science. He has in-depth experience in scientific and engineering disciplines, and in business development. Positions he has held include: Principal Analyst, General Research Corporation; Senior Scientist, Science Applications International Corporation; Manager of the Engineering Division, InterTechnology/Solar Corporation; Section Head and Research Physicist, United States Naval Research Laboratory. Dr. Liers has published extensively in the areas of alternative energy, environmental studies, health, manufacturing technologies, and nuclear physics. In 1984, Dr. Liers’s wife, Joanne, became ill with severe environmental intolerance to many common substances and chemicals. At that time, he and his family found no solutions or treatments that could ease her condition. Dr. Liers refocused his life on health and healing, becoming his wife’s “doctor” in the process. Since then he has studied with many eminent physicians and scientists in the field of alternative medicine. He has analyzed thousands of books, reports, and technical papers concerning physical, mental, and spiritual health. He has incorporated his knowledge into his family and professional activities. Dr. Liers continues to investigate and apply methods for optimizing human health. The strategies for healthy living he develops encompass many areas, including nutrition and diet, herbs, exercise, bodywork, environmental modification, mind-body techniques, and spirituality. In 1988, Dr. Liers founded Health Products Distributors, Inc. (HPDI), a company that formulates and markets superior-quality nutritional supplements to physicians, chiropractors, naturopaths, and directly to individuals. HPDI introduced its website IntegratedHealth.com in 1997. In addition to being a venue for online ordering and information about HPDI products, the website is a frequently visited resource that serves many people seeking ways to live healthier and feel better. Dr. Liers today actively educates health care professionals and continues his quest helping people experience vigor, fitness, and well-being. 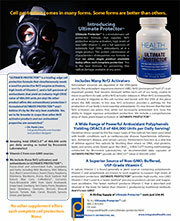 Today, Health Products Distributors, Inc. (HPDI), is a family owned and operated company based in Oracle, Arizona. In 2004, he co-founded 2DOCS, Inc. (http://www.integratedhealth.com/2docs.html), a company that formulates and offers the highest-quality, human-grade supplements for beloved pets on HPDI’s website. In 2012, he cofounded Warrior Health Products, LLC (www.warriorhp.com) a company that formulates and offers exceptionally effective transdermal products for pain, sleep, and energy.